Because of the fast paced and energy conscience lives of many people, low power consumption and battery life in the portable PC market has been a key selling point for many consumers in recent months. One key response to this ever increasing demand for more portability and less time plugged into a wall has been netbooks. In July, we reviewed the ASUS Eee PC 1005HA netbook based on the Intel N280 processor that had an idle battery life of 10+ hours! Unfortunately, netbooks seemed to only fill a niche market of people who can tolerate the small keyboard and tiny screen size. There still seems to be a niche to fill for those who are energy conscious, but don’t want to make so many sacrifices. 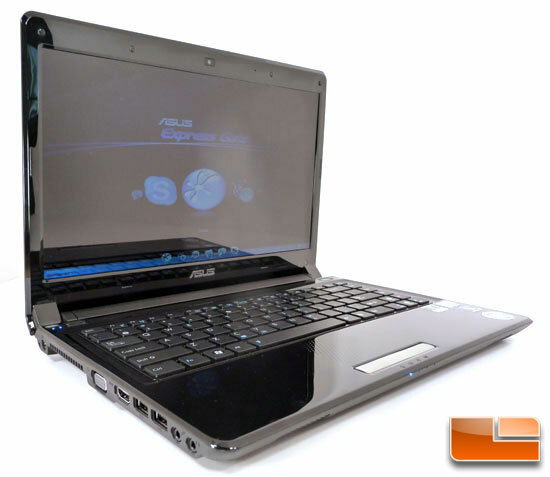 On September 8, 2009, ASUS announced their new line of notebooks, the UL Thin and Light notebook series based on the Intel Consumer Ultra Low Voltage (CULV) processor, SU7300. While the UL series is small and lightweight (less than 1″ thick and 3lbs), it still boasts good sized 14″ screen and a full sized keyboard for the comfort of users. According to their news release in September, the new UL series has over 12 hours of battery life and a switchable discrete graphics card to help improve the performance or power consumption. Today, we have the opportunity to try out the ASUS UL80VT, which comes with the moderate price of just over $800 at the time of this writing. Read on to see if the UL80VT lives up to ASUS’ claims about the UL series!